Amazing new dental technology has fundamentally changed all that. It is no longer necessary to assign a computer to a place—the computer can be assigned to a person and it simply goes wherever the person goes. It is a bit like an old wall-mounted corded telephone and a handheld cell phone. The old wall mount is the kitchen phone that you use to make or take a call— everybody uses it. Your cell phone is your phone—you carry it with you and it is intensely personal. The idea of a personal tablet-style portable computer is not new. In fact it was introduced by Microsoft as the Tablet PC in 2001. However, it never caught on. It seemed a cool concept—but people just weren’t that interested. When you study the history of technology you find that over and over again people adapt and use technology in ways that the inventors of that technology never imagined. Who would have thought we would be using our phones as cameras, maps, address books, and for texting? Who would have guessed “texting”? In the dental office, we will be using these new devices in ways we have not yet imagined. 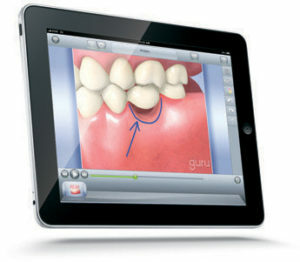 So be creative, try out new dental technology and new ways of doing things; the future is coming and it will be amazing.